Valentine's Day coming! We hope that you have not forgotten your BFF dog at home! A pet is for life, while everyone out there is whispering sweet nothings to their partners, let's not forget our buddies! 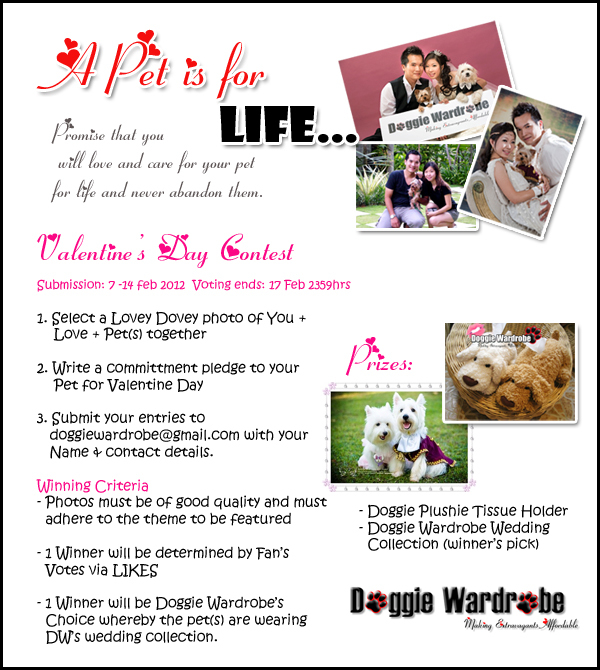 Join our V day contest where you pledge to commit and love your pet for life! All Entries will be featured on our Facebook page. Have you LIKED us yet?